The SolarWall system on Rivard Dr. will displace over 1.4 million cubic meters of natural gas over its 40 year lifespan. 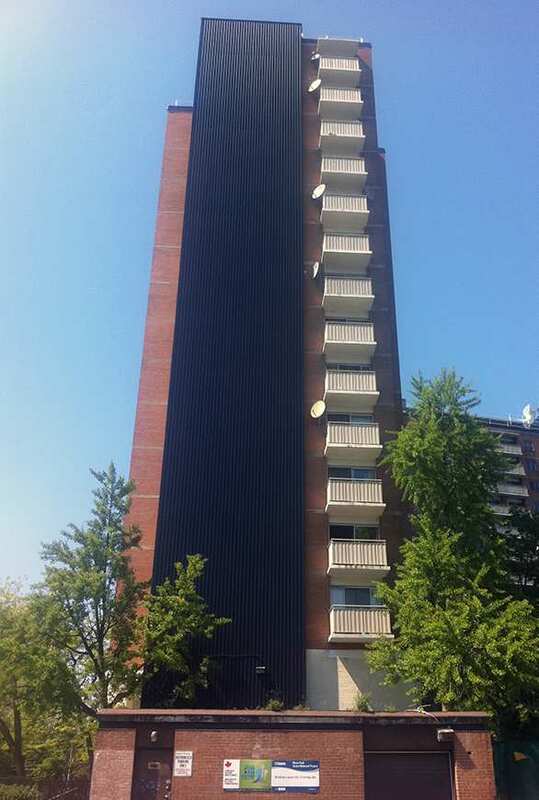 This was the second multi-residential SolarWall system for the City of Windsor. 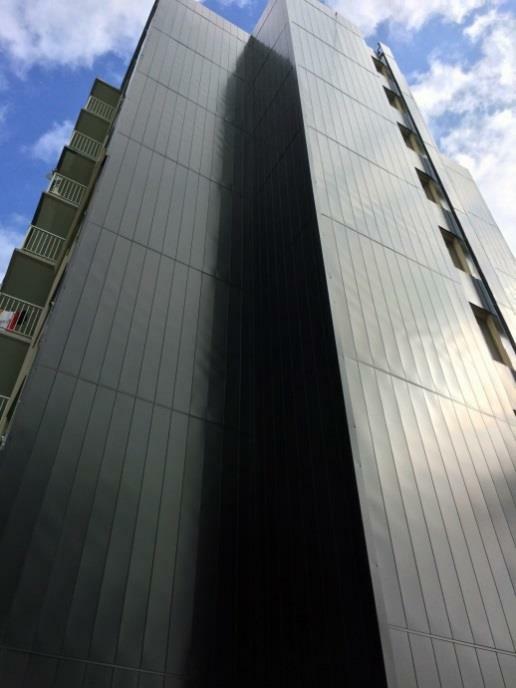 The first system was also installed for building re-cladding purposes in the 1990s and to this day, it remains one of the tallest SolarWall systems in the world, measuring over 20+ stories. Windsor Essex Community Housing Corporation manages 4,700 units of affordable housing in over 732 buildings throughout the City of Windsor and County of Essex. 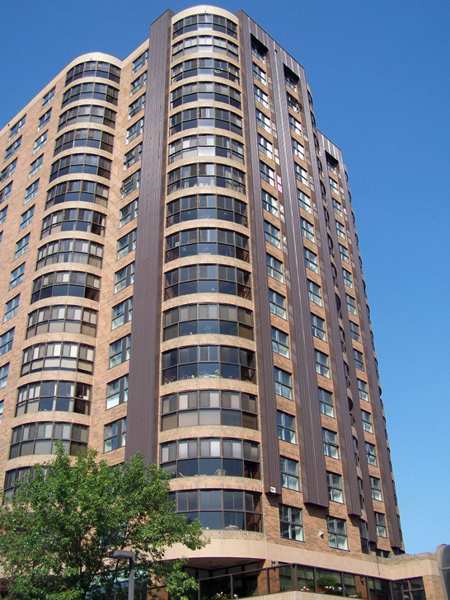 The multi-residential building located at 2455 Rivard Dr in Windsor was scheduled for a building re-cladding in 2014 as the building envelope was suffering from localized deterioration, air infiltration, and moisture damage. This is very common in brick buildings that have gone through several decades of freeze/thaw cycles. An Exterior Insulated Finish System (EIFS) was specified for the building façade and a SolarWall® Flat Panel system was specified for the southeast and southwest-facing stairwell walls. The SolarWall system is a solar air heating technology that also acts as a second skin for a building. It draws in outside air through tiny micro-perforations in the surface of the wall collector and heats that air before it is ducted into the building’s HVAC system. This reduces the conventional daytime heating load on the building.